The Orange County Automobile Dealers Association (pictured above) has elected 2015 officers. 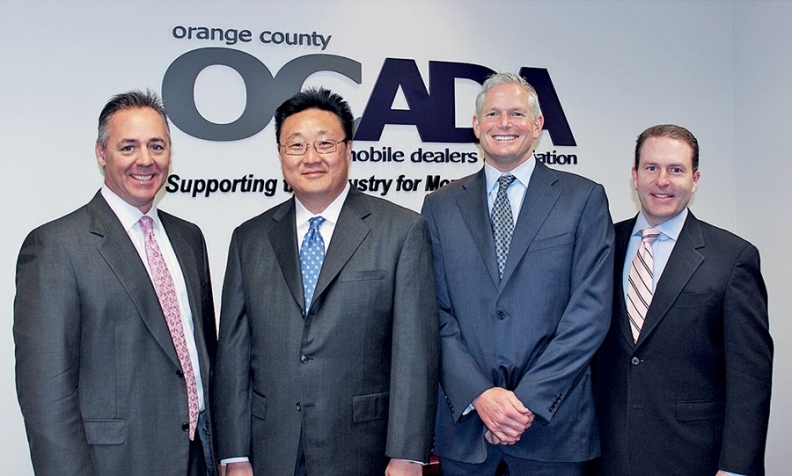 Pictured, from left, are Allen Moznett of Toyota of Orange in Orange, Calif., president; John Oh of Lexus of Westminster in Westminster, vice president; K.C. Heidler of Kia Depot in Santa Ana, treasurer; and John Sackrison, executive director. 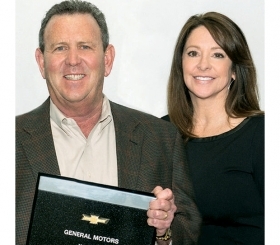 Larry Spradley and Carol Spradley of Spradley Chevrolet in Pueblo, Colo., received a 25-year award from General Motors.